Zak Khutoretsky, better known as Berghain resident DVS1, was due to play a set in Cape Town at Colorbox Studios that night. And while a series of issues regarding venues in the planning stages may have initially dampened our spirits, it was already abundantly clear that we made the right decision by persevering and putting these events together, despite the odds being stacked against us. Mere hours after his set in Johannesburg, it was time to fetch Zak from the Cape Town International Airport along with some of the TOYTOY team. Looking surprisingly fresh considering how little sleep they had, we made a quick stopover at the venue for sound-check. Thereafter it was hotel, dinner, gig, hotel, exploring and the rest, as they say, is history. Although this article will not delve into the details of the party itself and the politics surrounding its manifestation, it will however reflect on the invaluable moments and conversations had with an artist who proved to be wise beyond his years. “I’m not trying to please everyone,” said Zak. A seemingly simplistic quote. This ethos held true in all aspects of our experiences during the process of the events. We were told so many times by different people that bringing down an international of Zak’s nature would be financial suicide: “South Africa doesn’t understand this kind of music”; “you don’t have any suitable venues in Cape Town” and “people probably won’t even care”. Ironically, in conversation with Zak, these sentiments were in no way unfamiliar in relation to his personal growth as an artist. As someone whose focus is not misguided by trends and fads, this is the kind of challenging environment he thrives in. Back in his hometown of Minneapolis, Zak is responsible for the continuation of a special series of parties, the beginning of which was in reaction to similar views on local party culture. Yet after nine years, he continues to do them with the same level of enthusiasm and passion. Similarly, long-running techno institution TOYTOY also had their skeptics, yet they persevered to set the benchmark for techno clubbing and culture in the country (and arguably the continent). When it comes to DJing, the mentality remains the same: play music you believe in, not music you know that the crowd wants. It’s a difficult conundrum to solve in any facet of life, yet one that ultimately determines the direction your career takes. As a young DJ myself, I experience this somewhat ‘existential’ crisis all the time, however, when in the presence of a figure like Zak, you realize why it is so important not to lose focus, despite the ever-present prospect of taking the easy route to ‘success’. Where most clubbers in this country are still used to a certain brand of techno and struggle to embrace more complex, layered styles, Zak proved just why track selection and ‘reading the crowd’ are fundamental in presenting your own tastes in a way that still makes sense to even the most fussy of listeners. Rarely do we have techno or house DJs in South Africa that pushes things past the 130 BPM mark. The fast-tempo stigma is something that Zak has addressed many times in a variety of interviews. And when you hear one of his sets, the claim that ‘tempo doesn’t dictate whether something is hard and intense or warm and groovy’ seems undeniably true. As he pushed all the way up to the region of 136 BPM there was never a moment where the pace of the music felt excessive. Everything was being precisely controlled and thus people’s engagement with the music didn’t shift too drastically throughout the night. Instead, the audience were strategically guided into a new territory, and those who stayed until the end clearly showed signs of having experienced something unique. Having said this, the musical narrative of the night, along with a fantastic venue-space, attracted a great crowd. And their diversity in age, race, gender and socio-economic backgrounds proved creating events that transcend the norms of our (rather bleak) inner-city nightlife isn’t a just pipe dream. A goose-bump moment in his Cape Town set – Zak doesn’t often drop his own productions, so hearing this was particularly special. As we see more and more venues close and many existing spaces diverting their attention from musical and cultural integrity to financial gain and social prestige, it is clear that events that promote counter-culture and inclusivity become evermore important in our present clubbing environment. To close out a fantastic week, I also had the privilege (along with Vault co-founder Jed Cohen) to go record shopping with Zak. 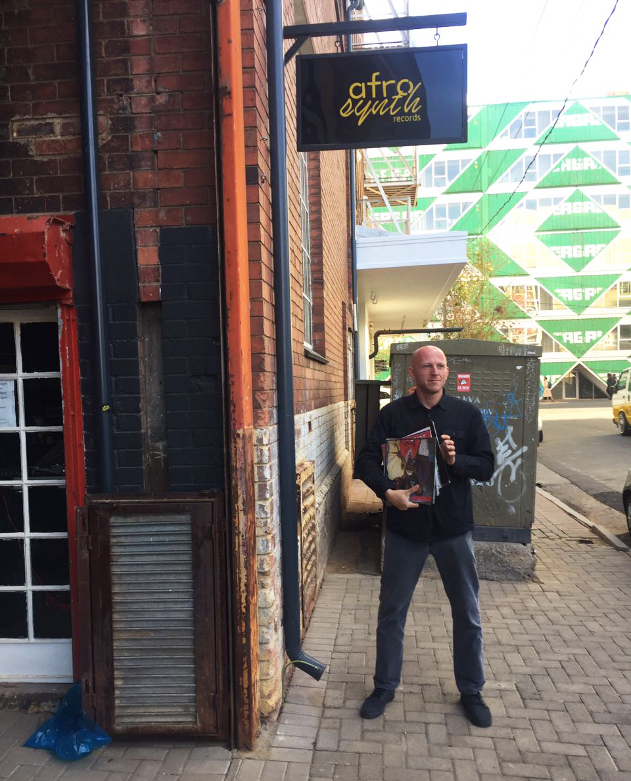 Having already visited Afro Synth and the Collector’s Treasury in Johannesburg before his gig at And Club, he was still keen to see what he could find in Cape Town. As an avid vinyl collector whose spirit for digging has never died, he gave us young-guns a true master-class in searching for gems. 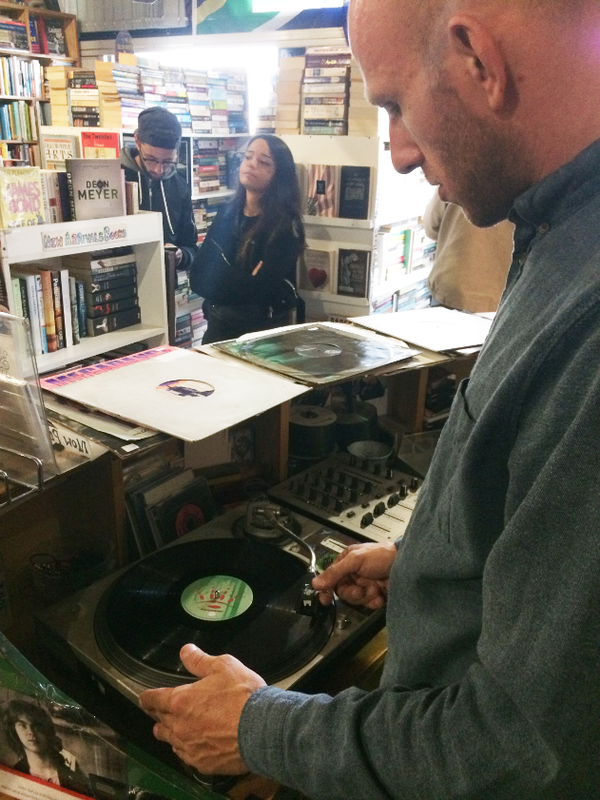 Starting at Mabu Vinyl in Gardens in the city centre we weren’t expecting to find anything of particular interest. 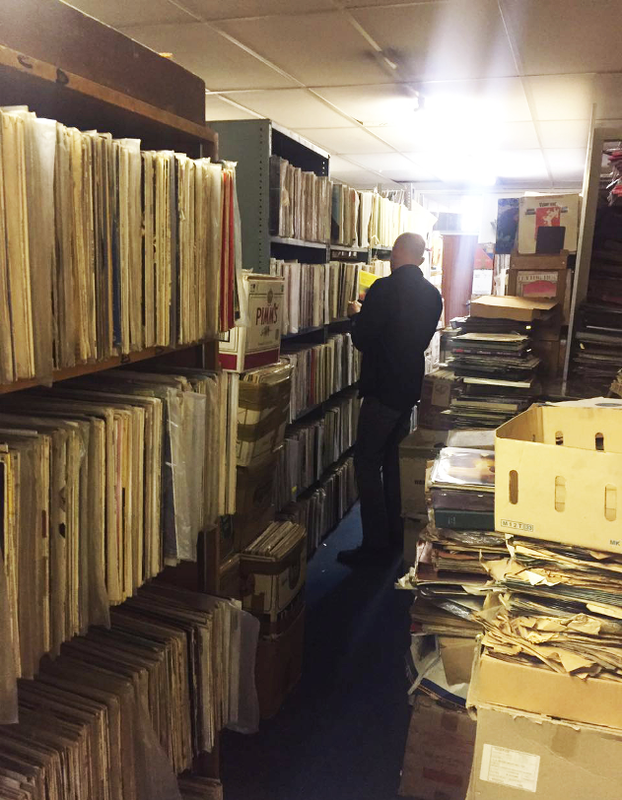 We kept digging until we got the chance to visit Mabu’s exclusive vinyl basement. And as expected, Zak found more exciting material for him and us—so needless to say, we all left happy and with our hands full. This wrapped up a fantastic and busy few days, leaving our hearts full and our ears begging for more. With enough inspiration to last a lifetime, Zak’s visit truly left its mark on us all. The benchmark is now set and it’s up to those who care to keep the ball rolling in the right direction. Hot, steamy and sweaty—everything a party should be. A great chance to catch one of Germany's best techno DJs in South Africa.